January 2019 – We couldn’t be happier with the house that G&S built for us and we had a wonderful experience with Garrick and Becki. Several contractors who live in our neighborhood watched the house being constructed and have all told us how impressed they were with the quality of the work. His subcontractors and suppliers also all told us how lucky we were to have Garrick working on our project. When the severe winter of 2016/2017 delayed the construction start, Garrick helped us revise the schedule and did a great job of making up for lost time. Throughout the project, Garrick was easy to reach and always responded in a timely manner. There were no budget surprises and he had great recommendations when it came to making choices in building materials. We appreciated Becki’s attention to detail with the paperwork and billing and we always knew the status of the budget. We would highly recommend G&S for your construction project. Wading through the many contractors in Lake Tahoe is a maze. I remember, after talking to many others, I called Garrick and was impressed with his knowledge and straight forward communication. I came away more educated with a sense empowerment even.After getting the design of the house done and getting a couple quotes he was forthright in communicating the challenges of my budgetary assumptions I got from other builders. I knew then he was going to build my house on the property that has been in my family for 62 years. Garrick was with me every step of the way from permitting to bank trips to TRPA offices. All the while supporting and being realistic in the steps to follow. I am a blue collar worker myself and I feel he was looking out for me in accomplishing my family dream to build in South Lake Tahoe. During the construction he kept me up to date, presented options at points where choices were needed and communicated in a clear and concise manner. The framing was very technical and not easy to pull off but they lined everything up perfectly and were proud of their work. My budget was a challenge to Garrick and he took it on and succeeded beyond what I thought was possible. I gave him leeway in many surface choices and he came through with a style I was looking for. On time and within budget. The result is a dream come true. I am glad Garrick and his team built my house and would recommend his company and crew to do yours as well. It had been my dream to own a cabin in the woods, something charming that would delight my family and friends when they came. To that end we set out to find that perfect quaint home to renovate and make our own. It quickly became apparent that we were not going to be able to buy our dream cottage owing to the fact that my husband is vertically challenged, and the ceilings in most of the cute places we saw were three to five inches too low. Our real estate broker, Trish Hall, finally announced that she knew just the lot, and we had better start thinking about building! She further introduced us to Garrick, who shook our hands and proceeded to create for us the very thing I had imagined … a cottage in the woods. Garrick remained within our budget, struggled to make each of my visions into a cost-effective reality, finished on schedule in spite of several changes ordered by me and spent many hours worrying so that I wouldn’t have to. The outcome speaks for itself, I feel. The 9 foot ceilings give an expansive look to an otherwise small space, and when my 6 foot 7 inch husband enters he needn’t duck! Garrick and his crew are honest, hard-working young men; craftsmanship and attention to detail are the cornerstones of their work ethic. We stayed in touch by phone throughout the building process, email too, and we tried to make it up to Tahoe once or twice a month for more serious decisions. I never felt disconnected from the process, but if that was not a priority for someone as it was for me, Garrick would have produced the same results. In fact, the color of the house is exactly what I had hoped for, and it was achieved in a conversation on the phone! It had always been a fantasy of mine to design and build a home, which for some would be a daunting task but—with Garrick and co. in charge of construction—it was a pleasure! We would recommend G & S Construction in a heartbeat. I have complete faith in this energetic young man, and you should too! 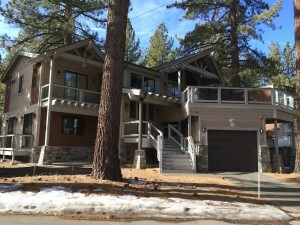 Our South Lake Tahoe property on El Dorado Avenue has been in our family since the 1970’s and it has always been our dream to build a vacation home to enjoy. After inheriting the meadow property in May of 2012 we were excited to begin the building process. 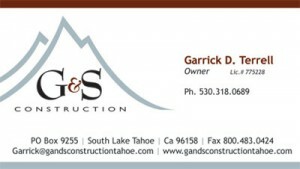 We approached G&S Construction about building on our lot and were immediately impressed with Garrick Terrell’s professional attitude and astute knowledge of building in the Tahoe area. We submitted our house plans to him for a bid and when we met to discuss the plans Garrick brought us a very detailed “spec sheet” on materials, construction, and costs. After our meeting with Garrick we knew we found someone we could trust and work well with. We encountered some hurdles as we were trying to obtain a building allocation though the CTC land bank. Garrick was instrumental in helping us submit our plans to the city and assisted us with expediting the building allocation process. Without his effort we would have never started to break ground before the October first deadline. Garrick also assisted us with other city agency issues which saved us a lot of money. During construction Garrick always kept us informed of the latest stages of progress. His crew and sub contractors were very efficient, courteous and productive with top notch results. The day we starting moving in Garrick made a point to stop by and see how things were going. If anyone is thinking of building in Tahoe we highly recommend G&S Construction. This was the third home I have built, but my first time using G & S Construction. I was extrememly impressed with the professionalism, efficiency, and work ethic of this crew. G & S began their work day at 7:30 am (already working at 7:30, not just setting up) and worked tirelessly through the day. G & S’ attention to detail was impeccable, while also establishing themselves as the fastest crew I have ever hired. The quality and craftsmanship of thier work was regularly complimented by my other contractors. From our first meeting, G & S ensured our home would become a reality while adhering to our budget, and beating our timeline. G & S demonstrated a high level of integrity by minimizing waste and recommending alternate materials during the process to save money. G & S were unfazed by our uncommon design ideas, and embraced our vision for the project. G & S will remain my first and only choice for future projects. We were fortunate to have Garrick Terrel as our contractor. He built our vacation home in South Lake Tahoe. Very professional and easy to communicate with. Worked as a team with our architect and designer. Exceeded our expectations. Finished ahead of schedule and on budget. We strongly recommend this contractor for future projects. “We had realized that taking on an imported timber-frame construction in South Lake Tahoe would not be straightforward; out of state engineering, unfamiliar construction techniques and inordinate levels of preparation had to be addressed. G&S Construction took up the challenge with a level of professionalism and enthusiasm that cannot be faulted. Garrick?s team worked on nearly all aspects of the construction of what amounts to an unusual property for the Tahoe area. They undertook conventional framing work, raised the timber-frame, installed the complex roofing and exterior wall panels, completed the interior construction, including outfitting the kitchen, and finished the exterior of the property. 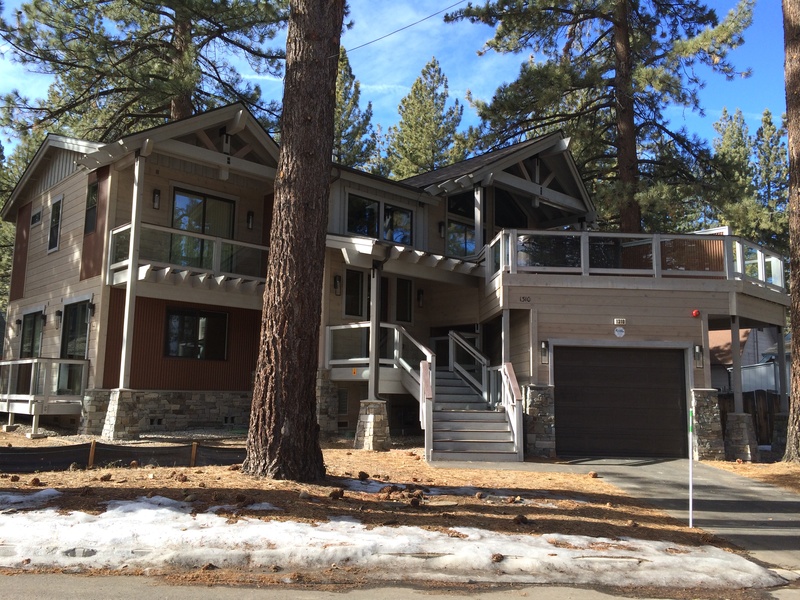 The result is that we are now the very proud owners of a beautifully constructed, one of a kind timber-frame home in South Lake Tahoe. Throughout the construction, Garrick has consistently striven for quality in all of the work that his team has undertaken. As ?remote? owners (based on the East coast) we have had to rely heavily upon the construction teams to ?do what?s right? ? Garrick has consistently read our minds to ensure that the construction has taken all the right turns whether we were on the ground or not and has done his utmost to keep the construction rolling. 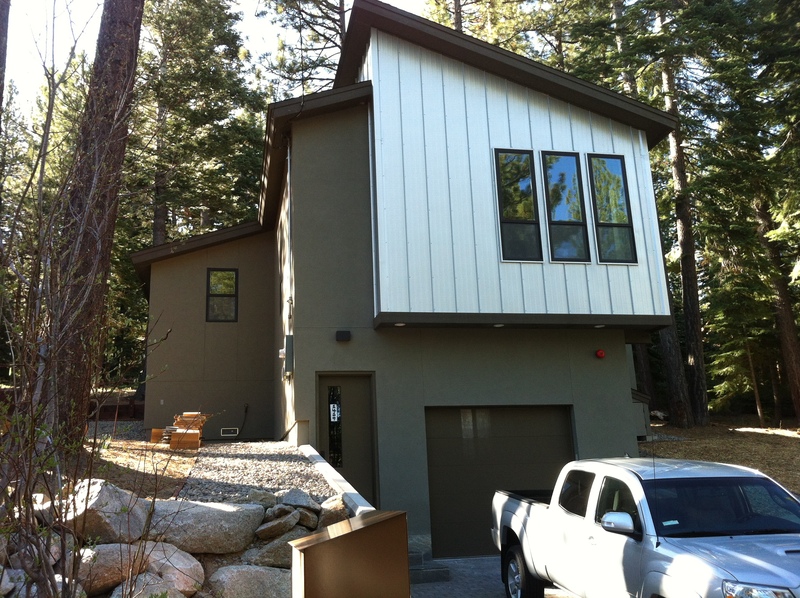 With the limited building window and particular challenges of building in the Tahoe basin, his support, guidance and commitment to completion meant that we held a confidence in the G&S team that proved well founded. Garrick built our house as if it was his own. Taking on a new construction can be daunting; taking on a custom home construction, with no opportunity to input into a design that is using unfamiliar construction methods for the area could be overwhelming. Without G&S Construction under Garrick?s leadership and direction, we would likely still be waiting to take that first step into our dream home. “Garrick with G&S Construction recently built our mom’s new home after the Tahoe fire. She’s in her 80’s and we needed a contractor we could trust. Garrick completed the house on time, on budet. He was helpful every step of the way. When we were in doubt, we found his taste in design, colors and material to be excellent. Garrick blended professionalism and personableness perfectly. He manage his sub-contractors, paper-work and codes with professionalism while he handle our mom with personal concern and empathy. “We purchased our house when it was still in the process of being framed. There were some changes and additions that we wanted to make to the original plans. Garrick was able to give us an idea of what the changes would involve and what the costs would be in an accurate and timely manner. He was able to give us advice as to whether or not what we had in mind was a good idea or not. As construction continued and other concerns or questions arose, we found that Garrick was great at addressing issues quickly. He answered our questions in a way that was easy for us to understand. He was easy to reach, even on weekends. In speaking with others who have knowledge of the construction industry, we found that G&S construction has a good reputation for quality workmanship. As the house has now been completed we are very happy with the finished product. We feel that G&S construction has earned their reputation on the qaulity of their product and their customer relations. 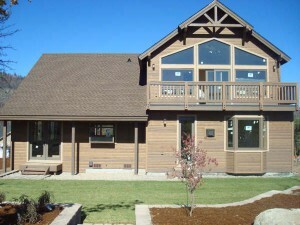 “Building a new home was not in our plans until we lost our home in the Angora fire in June of 2007. Among many decisions that had to be made was who we would choose to rebuild our home. 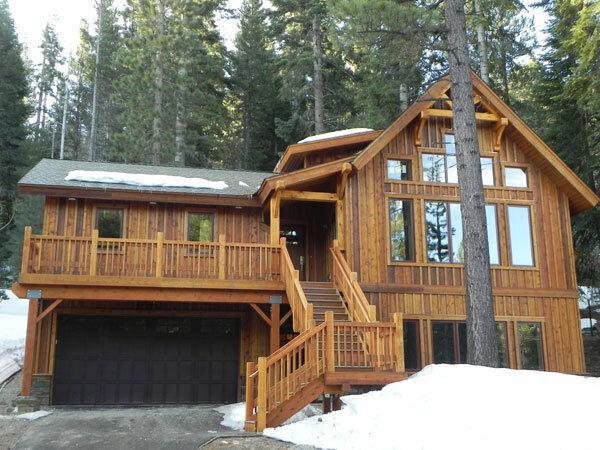 Having lived in South Lake Tahoe for over 30 years we have come to know many people in the construction trade, but after talking with several of them we were still undecided. G & S Construction was recommended by our designer and we could not have made a wiser choice. Scott Noonan and Garrick Terrell have provided us with sound advice from beginning to end. They helped with the permit process, trouble shot potential problems before they became problems, and offered sound advice throughout the entire construction of our home. They hired only professional, quality subcontractors and consulted with us on every aspect of the project. Scott, who oversaw our construction, is very particular about the details and went out of his way to make sure everything was top quality and to our liking. Our house was completed ahead of schedule and on budget, something almost unheard of. 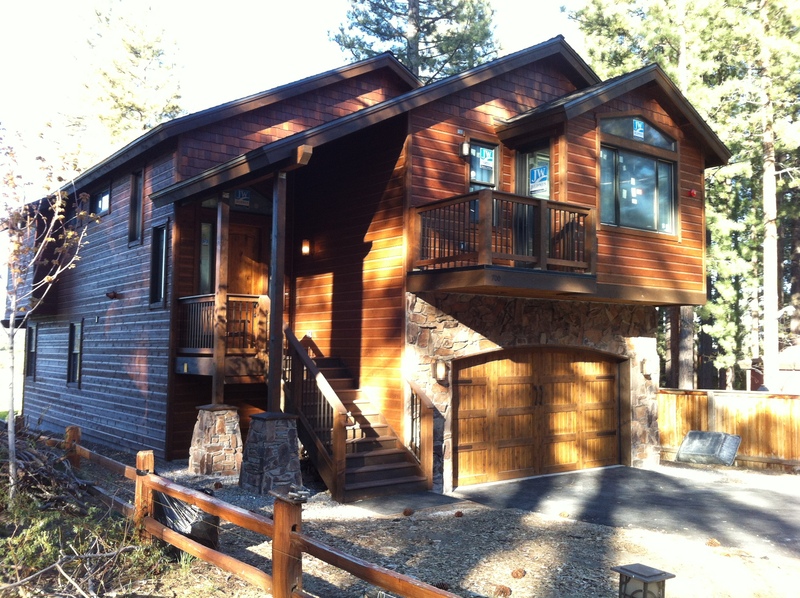 “I would like to document my experience in dealing with G&S Construction Company located in South Lake Tahoe, California. I lost my home in June of 2007 in the Angora Fire. In Early October of the same year, I started rebuilding my home and G&S was contracted to frame the house. I had heard about G&S’s reputation from local residents who have had dealings in the construction of custom homes. Based on the contract we signed, G&S came in exactly on budget with no cost overruns. There were some extra costs incurred, but this was due to the modification of the original plans to include cellar stairs. I have had several extremely complimentary comments on the framing, by individuals who have experience in building custom homes, especially with regards to the strength and complexity of the roof framing. Due to the fact that I currently reside in Texas, I was not available to continue work on the construction of my home, and was in need of my own contractor to continue construction. In an effort to control costs, I wanted to continue construction by using a bid process on all the crafts. Due to the quality of construction of the framing, I approached Garrick Terrell, (the “G” of G&S Construction) and asked him if he could help me complete my home by acting as General Contractor, in addition to finding “GOOD CRAFTSMAN”, based on his personal experience. I also required him to supervise the bid process. 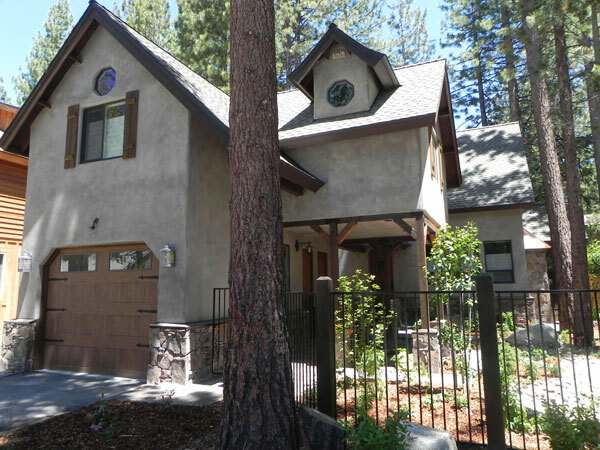 By doing this, Garrick has helped me save thousands of dollars, in addition to now having one of the most unique homes in South Lake Tahoe. I would recommend G&S without hesitation to anyone in need of quality construction, while also getting a flexible, experienced journeyman Contractor.